Keri had a complete and total meltdown earlier today. So here we are at the E.R working on hour 11. They have found her a bed or are working on finding her a bed at a pediatric psych unit. Earlier today, Keri was agitated – for what reason is unknown. It started out with being upset and screaming and lost in her own little world. Her Granddad came over, Keri wanted nothing to do with him. All she did was grunt and scream in response to him. About an hour or so after Keri’s Grandad left, she started to meltdown. Crying, screaming, trying to over turn the table in the kitchen. She knocked over a chair before flinging herself onto the couch. Once on the couch her rage did not stop. Keri continued with the self harm. She was pulling her hair. Keri was scratching herself – but left little to no marks since her nails had been recently cut. She was biting her arms. She then looked at her wrist and said “bite wrist” and proceeded to gnaw at her wrist. I tried to talk her down, but she did not heed or hear my words. I tried to get in to restain her. But she was linging at me, trying to scratch me, bite me, hit and kick. Keri actually kicked me off the couch. There was no way for me to get close to her. Keri also knocked items off the end table and threw the small drawer to the end table. A while ago, Keri cracked the one of the windows by the couch and there are 2 other windows in the same area. I was afraid that she would further hurt herself or break a window or hurt me. There was no choice but to call 911. The cops came, Keri stopped and was too busy staring at them. She was ok in the ambulance. In the hospital, she started to act up. They gave her a shot of something to calm her. Once Keri was calm, the nurse took blood samples and a urine sample. While on this shot of whatever, Keri was still with her “not so great smile and laugh” and grunting. The agresstion was gone. Later on when this med wore off, Keri started to try to pinch, bite, and hit me. When she realized she could not get to me, Keri started to try to climb the bed. I could not get her down and had to call the nurse in. At this point neither the nurse nor I could get her settled down. The nurse had to call in another nurse and 2 security guards to help restain her. There were 2 nurses, 2 security guards, and me – 5 people having to restrain her!!! 5 people to hold down a preteen girl who weighs 108 lbs and is 4 ft 7 inches tall!!! My sister Maggie and John walked in as this 5 people restaining scenario played on The doctor gave her Ativan instead of the other medication. This calmed her and got her to finally go to sleep. Come to find out … there was one hospital that I will call Hosptial M had agreed to take Keri. I filled out the paper work to have Keri transported. I will write more tomorrow since it is 3 am. And a kind nurse just brought in a stretcher in for me to sleep on. Trying to sleep sitting up right in 2 chairs pushed together is uncomfortable to the highesr degree. Two weeks ago, Keri scratched her arm up because she did not want to go to sleep. During that same week, she acted up on the bus – she refused to have her sealt belt on. Keri was then climbing all over the seats and hanging upside down – she did this twice. These two times, I was not on the bus, but she was with someone she was familiar with. Last week, Keri has been a bit off the walls with her behavior. On Monday, she grabbed my upper right arm and squeezed – leaving a nice size bruise on my inner arm. Also, I have a few nice scratches to go along with it. This happened on her bus on the way home from school. Nothing really provoked other then the insistance of getting her ears peirced. Tuesday morning, she was at her grandfather’s house before school – like every other morning for the past 4 years. She sat on his couch yelling and crying for 40 to 45 mins to “burn the house down” over and over again. (Yikes!!! She has never said that before!) All the while trying to bite her leg – which is another thing she has never done. I walked into this happening. Then she is ok on the bus and had a good day in school. I called her psychiatrist to scheduled an emergency appointment for this past Wednesday. Wednesday, I took Keri to her doctor’s appointment. In the car, Keri was calm but kept saying “Burn the house down”. I asked her “Who’s house?” She then said “Granddad’s”. When asked why, Keri responded “Because police are mad!”. We got to the doctor’s only to hear from the nurse and the doctor “I have never seen her like this.” The doctor also said if her behavior continues like this, then I will need to take Keri and have her hospitalized. 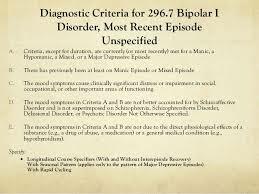 In the mean time, the doctor diagnosised Keri with Bipolar. Keri was prescribed a new medications of tegretol. The pharmacy was unable to fill the new prescription on Wednesday. So Keri had to wait until Thursday to get the new medication. Thursday, on the bus in the way home, Keri had another hard ride. She started to kick the metal divide and kicked it hard enough to make it pop out. Then she started to scratch and bite me. I had to restrain for the rest of the bus ride. When we got home, she had the first dose of her new medicine. So far we are now on day 5 of the new meds. It has not helped. She is off in her own little world and seems worse. But this new diagnosis helps to explain the highs and lows in her behaviors. It is made more difficult with Keri’s already existing diagnosises of Autism, ADHD, and the mild intellectual disability. Sometimes people are selfish and cannot think beyond themselves. However, this way of thinking needs to stop when it comes into the context of parents who have childern with autism. I do not mean that parents with childern who have autism are selfish. The way I mean this is that people on the outside of the whole autism household are sometimes selfish and cannot think beyond themselves. I was recently subjected to such selfishness by my boyfriend’s sister. This post is to hopefully help those on the outside of the autism household to better understand the workings of an autism household. Also to get these same people to break away from the “me” focused thinking and see beyond themselves. John’s sister (who I will call Anna) moved back a few years ago with her then husband. At that time, John was still living in his old childhood home. His sister and then husband moved into the same house with John. Anna’s marriage did not work out and they divorced. Her ex-husband moved out and back to whatever state he was from. Anna quickly met another man (Drew). From there, Drew moved in and Anna got pregnant. Anna had a son named Eddie. At first Anna was fine with Keri’s autism. I explained how Keri was and how her behaviors could be. Anna has seen first hand how Keri can be and how I have to handle her meltdowns. Also once Eddie was born, Anna seemed to get more skittish with having Keri around her son. I understand Anna’s line of thought since my daugher can be violent. So I have made it a point not to bring Keri over if she is having a hard day. But I do this anytime Keri is having a hard day. There have been a number of things that Keri and I were going to do with my boyfriend, or my family, other friends, or just going to the park, store or any other place that have had to be cancelled because of Keri having an overly aggressive and violent day. So Anna is not being singled out in anyway … this is routine for Keri and I. So to get to the point, Anna is moving out west with her family in the next week or so. John went over there with his daughter (April) yesterday. He did this so April could see her aunt and cousin before the move. Keri and I were suppose to go too. But some old story, Keri has had an aggressive and violent week. So with the bite marks and bruises on my arms from my daughter, I made the decision not to go. So since I decided not to go over, Anna told John “I guess Sandy (me) doesn’t care enough to come over and see us before we move”. That comment is where the selfishness and not seeing beyond one’s self comes into play. AUTISM AND THE MANY MOODS/ BEHAVIORS DECIDES WHAT MY DAUGHTER AND I CAN DO. Trust me, I would **LOVE** the ability and freedom of having the choice to go out and do things both as a family, with Keri, with John, or by myself. This is something that people or people with neurotypical childern take for granted. AGAIN AUTISM DICTATES MY LIFE CHOICES! This is a list of things that happens regularly in my life that these people need to understand. ..
*Finding a babysitter is extremely hard and costly. I cannot just find some teen ager that is responsible and good with childern. Keri needs someone who understands autism, especially the aggressive and violent tendencies. This person needs to know how to handle her when she gets that way. Hence the specialized care is costly, and I cannot afford it. My sister is exellent with Keri and is the only person who can handle her. So I may get out maybe once a month. *If Keri is having major difficulties with her behavior, all plans existing or else wise are canceled. Sorry, but it makes life easier for Keri and myself for her to have her meltsowns in the privacy of our own home. I do not have to worry about what damage Keri may do to someone else’s property or to another person. *Going anywhere is a challenge – Keri’s mood changes moment from moment. Driving can be a challenge because she has thrown stuff at me and attacked me while driving down the road. She has acted out in stores and out in public. At those times, its easier to stay local. *These decisions of staying local or cancelling plans has no reflection on how I feel about a person. It is the fact that I am putting my child first, because her needs outweigh anything else in this world. *I miss out a lot in life because of putting Keri first. I cannot run out with a group of friends for a drink or go see a movie. I cannot go out as a family with John, April, and Keri with out first seeing how Keri is going to be. John and I cannot go out as a couple with out first planning months and months in advance. More often then not, John and April will do things with out us. John will go out with out me. Spontaneously going out is extremely rare. Going anywhere by myself barely ever happens other then quickly going to a local store. But this my life. *I have many scars, bites, bruises, and scratches on my arms from Keri’s meltdowns. * My daughter may never do certian things like have a boyfriend, drive, get married, have a job, live on her own let alone be left on her own, go to college – etc. *I may not sleep very well if Keri decides not to sleep at night. I am sure I am missing something. However, you get the idea. My life is hard. I do not want pity. I just want understanding. I do not want to miss out on life, I do not want people to think I do not like them and do not want to see them. Just stop the selfish thinking and look beyond yourself. Often I will see posts on message boards from other parents asking advice regarding a certian medication or if they should medicate their child. I am not talking about vitamins, other supplement, or esstinional oils. I am talking about medications like clonidine, abilify, depakote, ritilan, lithium, etc. The list can go on and on, but this list gets the idea acrossed. Trying to decide if you should medicate your child with Autism (adhd or any other condtion) is a very personal and difficult decision to make. First you have to decide if aggressive behaviors or focus issues can be tolerated. Not just for the parents, but also for the child’s quality of life. Do these behaviors make it hard for the child to learn both at home and in school? Also does the child’s behaviors create a concern for their safety and the safety of others? Has the use of therapies help to ease the behaviors? Like Aba, RDI, Son rise, horseback riding, etc? Have dietry changes been tried? GFCF diets, the removal of certian dyes? Has then been any medical testing done to rule out any other conditions? Like Celiac Disease, seizures, any vitamin deficanities (vitiman d, b12, etc), food allergies? Other medical condtions that are similiar to autism. 10 medical conditions that are mistaken for ADHD or Autism. If these approches alone have failed, then maybe it is time to see a Neurodevelopmental Pediatrician or a Psychiatrist and discuss the possibility of using medication to treat the behaviors. Also understand that using medication is all trial and error. It is about finding the right drug for the individual. So it may take trying several different medications before finding the one that works. There may be a few increases that are needed in the dose of the medication. There may come a time when the medicaton may need to be changed because it has stopped working and the dose cannot be increased. 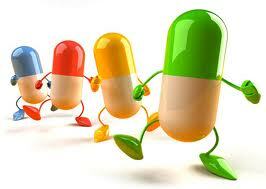 A combation of different medications may need to be used. Another thing to understand, is that because each person’s body is different, medication will react differently for every person. One person’s miracle drug maybe another person’s worst nightmare. So when asking for advice online about medicine take what people say with a grain of salt and do not accept it as the final word. You have to experience the medication in action to know if it will work or not. One other thing to do with medication, research and do more research! The pamphlets that a pharmacy hands out or even what the doctor hands out does not provide all the possible side effects. So research the medicine on the internet with several different websites. Also research possible drug interactions with any other prescribtions, over the counter medications, vitamins, supplements, and food. If possible, try a new medicine on a weekend or school vacation. This allows you to see how your child will react on the new medication. Also there may be some side effects of a mediation that you will have to decide if they can be lived with or not. For example, Abilify makes it harder for my daughter to regulate her body temperature in extreme heat or cold. I had to decide if having her aggressive behavior be off the charts was worth watching how long I had her outside on hot days or extremely cold days. Having Keri’s aggression being lower won out in the end. It was worth having to limit her outside time in the summer or winter. Also, I refuse to have my daughter on any medication that will make her a zombie. I want my daughter to still have her personality and be able to enjoy life. I will not keep her on medication that will endanger her health morw then what it needs to be. Keri was on one medication where there was extreme weight gain. She could not control her eating and would just eat and eat. I had taken her off that medication asap! Speaking of side effects, if there is a side effect that you do not like or is extremely harsh – then do not be afraid of taking the child off the medicaton. Check to see if the medication requires gradual removal first and always talk to the doctor when taking a child off the medication. The doctor may prescribe something different. Depending upon the severity of the side effect, you may have to take thw child to the hospital. The very fist medication that Keri was on worked great the first day. Then the second and third day things were much worse … Keri kept repeating herself and getting stuck on one vowel. Her aggression was 10 times worse and she was clingy. She wanted only me near her, which was never an issue before. Keri’s stomach was hurting her. I called the doctor and she prescribed two different medications. From there , Keri has been on several different medications, some have worked great, others not so much. Sometimes, there has to be a combination of therapies, dietry changes, and medications going at the same time before improvements can be seen. I know this to be true with my daughter. Before medication, Keri (who has adhd, autism, spd and possible mood disorder-nos) was extremely hyper and most of the time unable to focus. She would be all over the place. I constantly had to be 2 feet behind Keri at all times. She would focus for a few seconds on music video or a song. Then she would be off again, into something else. Keri would destroy things, be aggressive, and was non-verbal. Once she was on medication, Keri started to learn, she became more verbal, she is now able to read, write, and do basic math. She is able to focus on thingd and sit still for a while. I do not have to constantly behind her all the time. Keri is sleeping through most nights. Before she would scream, fight and cry until she was exhausted. Sleep would come to Keri only then. She would sleep for 2 to 3 hours and wake up for a few more hours before sleeping again for a few more hours. She would play or smear feces on the walls during her wake up time before falling back to sleep. I never had a true night’s sleep in several years during that time. Some how I managed – but would never want to go back to that time! With the medication, she still is aggressive and I never know what I am going to get from her moment to moment or day to day. But for the most part, Keri can go out and do things. Once in a great while, I can go out and have a social life. That wad not there before. A little progress is better than no progress. So far her behavior has been pretty good. There has been a few whining moments, but no aggression. If Keri keep up the good behavior then she will earn build a bear for her birthday. Then on Sunday, we will go to Uncle’s for her birthday. 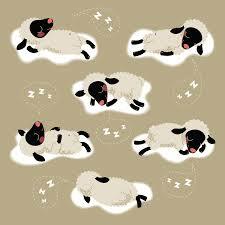 So 3 more sheeps to go ….